Child care software manages the internal operations (such as scheduling, attendance, and billing) of child care centers and preschool programs, as well as facilitates communication (messaging, notifications, alerts, and feedback) between parents and teachers. 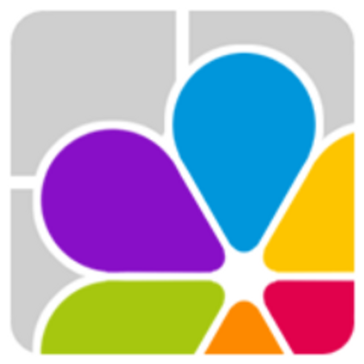 The software streamlines and centralizes child care center operations on a single platform. Child care software simplifies and increases the efficiency of the creation and modification of regular progress reports, billing invoices, student profiles, and overall documentation. Child care software increases parent engagement and classroom management via technology/mobile devices. These solutions are usually cloud-based, deployed on already existing mobile devices, and work alongside accounting and student information systems, and often include features of digital visitor management software. Child Care reviews by real, verified users. Find unbiased ratings on user satisfaction, features, and price based on the most reviews available anywhere. EZCare online software is designed for today's childcare professional and makes enrollment, billing, scheduling, and parent engagement easy. Web-based and mobile optimized, you can access your data on every device. EZCare family engagement tools include EZSmiles, a mobile app that keeps parents connected to your center throughout the day, and a parent portal that lets parents make payments, and update child/family information. These tools promote family-child conversation and increase engagement at home. 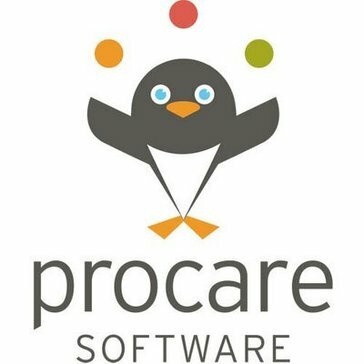 Procare Software's All-In-One system powers 30,000+ child-centered businesses and is the ONLY comprehensive childcare management solution designed to grow with you. The modular format streamlines child/family data in childcare centers, daycare, after-school programs, school districts and child activity centers. Procare simplifies tuition collection, classroom management, parent communications and data access with the exclusive integrated services of Tuition Express, KidReports & Procare Cloud. KidReports was founded in 2011 in order to help parents stay connected with their children. Since then, we have grown into a complete tool for digital classroom management, parent communication and engagement, and licensing compliance. Now in use across the United States and internationally, KidReports provides the most customizable and flexible set of tools for tracking activities, messaging parents, and keeping digital records. The only all-in-one, all-inclusive, cloud-based child care solution! Smartcare is an easy to use childcare software solution that has changed the way child care center owners, directors, teachers, and parents connect. Whether you're using SmartCare on an iPad or the web, our user-friendly software does all the hard work for you while you focus on what matters most...children! We serve customers with single locations of 20 or more children and multi-location enterprises. Simple monthly payments, support, training & set up. Abacus is an award-winning nursery management software which allows child carers to concentrate on providing a loving environment for children. By taking the time-consuming nature out of administration tasks and invoicing, it allows settings to focus on what they do best. Like every child, your setting is unique and the difference Abacus makes to the way you work becomes clearer over time. Here are just 4 ways in which our software can transform the way you manage everyday tasks: Data security With so much sensitive data, you need to be sure it’s all held safely and cannot be lost easily. With Abacus, you can safeguard personal data 24/7. You can even lock down parts of the system so that only certain members of staff can access it. All this makes it much more secure than a paper-based system. Staff management Abacus allows you to store staff information, schedule shifts, manage ratios and diarise training, enabling you to always stay on top of your team management. Super quick invoicing Abacus calculates free entitlement, childcare vouchers and more, so the invoices parents receive are always accurate. Parents can receive invoices straight to their inbox so you can save on printing, too! Remarkable reporting With Abacus nursery management software, you can run reports to make sure nothing gets forgotten. Whether it’s outstanding payments, free entitlement allocation, registers, milk or occupancy, you’ll always be on top of things. Famly provides features for seamless child care administration, child attendance, staff management, reporting, parent communication, child development and much more. Famly is developed in close cooperation with a wide range of childcare providers to ensure that everything it does comes from a deep understanding of your everyday workflow. We believe in building lasting customer relationships through dedicated 24/7 success support. Childcare by Tadpoles is revolutionizing the childcare and preschool market by helping to streamline operations and parent communication through mobile technology. ChildCare Office Pro is a complete software package complete with guardian, child and employee information. EduKids Connect Systems provides a mobile and web based information system for childcare centers to connect with parents, improve compliance and reduces costs. KidCheck provides secure childrens check-in systems, and helps you streamline your check-in process, improve security, easily track attendance, and create a positive parent and visitor experience. 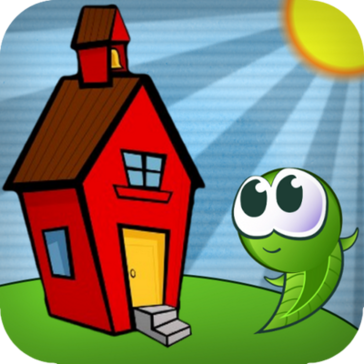 Kidkonnect™ - The most popular choice in school Apps. Kidkonnect™ – The smartest way to connect schools , parents and teachers. Kidkonnect is available in smartphones as well as a web based application. Kidkonnect™ - Helps schools to Communicate, Share, Organize and Learn. Kidkonnect™ - The ultimate school to parent communication tool. This School Application provides schools with an easy way to update parents everything they need to know about the school, like Diary, Insta Alerts, Personal Comments, Events and Galleries, Holiday Calendar, School Notices, School Timetables, Absentee Forms, School Documents, and much more. Kidkonnect™ - Gives real time updates of class activities of your loved ones. Now teachers can access Kidkonnect™ from their smartphones, This helps them to share classroom updates in real time. Kidkonnect™ - is very flexible to allow schools to create their own customized content and provides a great alternative to SMS alerts by using Free Push Alert Notifications directly to the parents smartphones and Web application. Kidkonnect™ - can be plugged in to Schools Existing website and can be easily accessed. Kidkonnect™ - Our Fun n learn Feature allows the school to share the class activities / curriculum with parents. This helps them to view and practice the same at home, Kidkonnect™ - Makes easily access Information anywhere anytime. Minute Menu Kids Pro is used by about 30,000 family child care providers across the US to record menus and attendance, manage child information, prepare their taxes, invoice parents, prepare lesson plans, and more! Affinety Solutions advanced billing and attendance feature is ideal for managing child care program for school aged children as well as infants, toddlers, and preschoolers. bob' the Child Care Manager has many features to save you valuable time and to help you organize your administrative tasks and to give you more time to focus on what's really important . . . the children! ChildCareIRiS is a cloud-based application that is designed to support child care providers by easing common staffing pain points so providers can focus on operating their high-quality programs more efficiently. ChildDiary is a new service that extends the communication between educators and parents by enabling educators to document daily records, development observations and also share spontaneous communications that can be shared instantly with parents. Preschool tool that enhances productivity and communication between kindergarten, DayCare, teachers and parents. Daycare Works allows School Districts to organize and manage Before & After school care, school clubs, sports teams and community education programs through a safe online, web-based or mobile, portal from one central online location. Early education software to document learning and inform parents, nurturing parent-teacher connections. iCare is a profitable way to manage childcare and create better parent-teacher communication.It's the easiest and most profitable way to manage childcare and create better parent-teacher communication. Instant Nursery manager has everything that you will ever need, saving you hours of management time. Kaymbu is the leading family engagement and classroom documentation tool for early education programs. From simple photo sharing to rich visual assessment, Kaymbu connects educators with young, digital-native parents. Keedgo is a mobile app that connects after-school and youth activities with parents for efficient communication and scheduling. KidKare lets you manage your daycare business from your desktop, laptop, tablet, or mobile device. KidKare makes it easier for you to manage your child care business via your smartphone, tablet, laptop or desktop. KidsONE is a high quality, affordable computer program for your child care or preschool facility. It can handle the needs of in-home daycare providers as well as large free-standing child care centers. This is what KigaRoo offers to Kindergartens, Daycares, Nurseries, and Nannies. Kinderlime provides an all-in-one cloud-based solution for childcare centers, preschools, aftercare programs and multi-site K-12 programs. Our app and web-dashboard allow for simplified sign in-out, attendance tracking, auto-billing, daily sheets, parent messaging and reporting. Our intuitive software helps you manage your program from one dashboard and keeps parents happy and engaged. MomentPath is a Care Relationship Management Platform that helps Early Childhood Education & Care centers ditch their daily paper sheets and engage with parents in an easier, more meaningful, digital manner. Our platform allows daycares & preschools to send parents real-time updates of a plethora of activities, including pictures & videos of arts/crafts/learning/play time, potty usage, nap times, meals, incidents, etc. It also has a centralized calendar for announcements, curriculum and menus. Directors can also use a number of standard & custom reports to keep track of important statistics, such as teacher-to-child ratios, number of children checked into the facility, etc. MyDaycare Plus is a friendly solution for child care centres on the market. NoHo Software offers an integrated suite of software products designed to meet the needs of both subsidized and tuition based childcare programs. Remini enables teachers and directors to document and share photos, messages, videos, newsletters, events, developmental milestones and much more to tell the story of each child at our school. Looking for software that does everything AND is easy-to-use? Sandbox manages all of your administrative tasks, processes electronic payments, and lets you communicate with your parents. Sandbox is fully web-based with modern screen designs that make it easy-to-use from anywhere. See why our customers love Sandbox with your own free 30 day trial today! SchoolLeader is your childcare management software solution to take efficiency and productivity to new heights. Discover the very best in full featured management software designed specifically for the Childcare, Preschool, and Daycare industries. sparkPRO organises staff time, systemises procedures and provides a platform for consistency and quality during curriculum delivery. Tiny Tweets is a web based solution for nurseries/child care providers catering to their needs of simplifying the tedious task of maintaining the daily dairy. 123Daycare is an easy to use software for daycare centers, preschools and family homes and allows you to manage programs, classes, and families, track payments & more. Abacus Nursery Software is an award-winning nursery management software thats features include one click invoicing to detailed child information. Alpha Cares has developed a revolutionary approach that helps eliminate frustrations and uncertainty associated with the child care business, especially in the area of business logistics. BestClass allows you to power online registrations and payments with a suite of tools tailor made for classes, camps, events and after school programs. The platform enables you to easily log all information about childrens activities and learning. Why Use Child Care Software? Who Uses Child Care Software? Child care management software can make it easy for both staff and families to stay organized and informed. Staff can perform administrative tasks to keep day-to-day operations running smoothly, and parents can remain apprised of how their child is performing and what activities they are doing on a daily basis. With real-time updates via a mobile app, families can have peace of mind, and staff can spend more time with students. Data Organization — Running a nursery or other child care business requires maintaining a large amount of records and other information. From immunization records to attendance tracking to payment history, staff must be confident that all data is accurate and up to date. Child care software helps keep all this data easily accessible so parents don’t need to send duplicate information. Parent Portal — Parent portals and mobile apps make it easy for parents to stay in contact with staff and update any relevant information quickly. Parents may also be able to make payments within the portal or parent app, saving time and avoiding missed payments. For staff using web-based software, the parents portal makes it easy for staff to see updates and send notifications for payments or signatures. Child care management software is designed to help those working for an early childhood education center or other child care program manage their business and their students’ information. The software can help with business tasks such as billing and invoicing as well as planning an educational program for students. Staff may also use these solutions to provide parents with updates on their child’s behavior and educational and social progress. Overall, child care software is designed to make a child care business run smoothly for both staff and parents. Child care businesses must take into consideration their budgets and requirements when researching which software program to buy. A child care center can operate as a standalone venture or as a multilocation enterprise, in addition to a school or community center or as an extension of a family home, so buyers must carefully take into account the services they are able or unable to offer. Child care software can range from modular (software that can be separated into functionalities that can work independent of each other or the platform) to one-size-fits-all, so buyers need to take a look at their existing business plan and identify any inefficiencies that software can help solve. Effective management of a child care center is crucial to its ongoing operations. Administration can cover anything from reporting, data management, billing, staff management, and parent-caretaker communication. Buyers should consider what aspects of child care will benefit from automation and what areas need better bookkeeping or metric tracking. The latter is important, as child care centers must adhere to specific industry regulations. Child care centers will ultimately benefit from software that can consolidate communication, paperwork, and employee scheduling into a singular database. Security is a crucial element to consider when implementing and using a child care software product. The on-premise versus cloud debate necessitates the discussion about security. Child care centers store a lot of private, personal data about their clients and clients’ families. Additionally, it’s unthinkable in today’s world that users will not access the software remotely or through a VPN. Buyers need to take a close look at the kinds of security permissions the software offers. Early Childhood Professionals and Child Care Staff — Those who perform administrative tasks for a child care business will primarily be the ones using child care software. However, any staff may use the software to track attendance, update parents, or create activities. Parents and Families — Using a companion app or parent portal, families and guardians can receive updates about their child, make payments, and update crucial information. On-Premise vs. Cloud-Based — Buyers need to consider whether they want a cloud-based or on-premise child care solution. There are pros and cons to both, but the most significant consideration is price. Cloud-based software programs can be accessed via a subscription license and are more likely to help the child care center adhere more strictly to any industry regulations. On-premise solutions require extra fees for support, training, and updating of the hardware or server that hosts the software. There is a much larger upfront fee with the on-premise option. On the flip side, cloud-based solutions give users more freedom to customize. Buyers need to figure out whether they anticipate their child care business scaling rapidly in the future, as that will play a big part in which kind of deployment will better serve the business. Additionally, cloud-based software guarantees accessibility to the tool from anywhere. Administration — Child care businesses have many of the same requirements as other businesses, and child care software can help with back-office tasks such as accounting, invoicing, and employee management. Some tools will integrate with accounting software to make it even easier to perform these tasks. Parent Portal — Parent portals allow parents to access the child care software using a customer-facing portal or app in order to make payments or update crucial information such as immunization records. This makes it easy for parents to access information about their children from any online device. Attendance Tracking — Attendance tracking enables child care workers to keep track of which children are in attendance and which are not. Doing this digitally saves time and the effort of maintaining paper records. Knowing how many children are in attendance or expected to attend helps caregivers and other staff design activities and purchase supplies. Classroom Management — Classroom management features help teachers and caregivers plan lessons and activities while also tracking student progress. Parents often want to be updated on their child’s progress in areas like reading and counting, and child care software makes it easy to both monitor progress and update parents easily. Payment — The ability for parents and guardians to be able to receive notifications about payments and then easily pay online relieves much of the stress for both parents and staff. Parents don’t need to worry about forgetting a payment, and staff can rest easy knowing that payments are easily processed without staff input. Hi there! Can I help you find the best Child Care solutions?